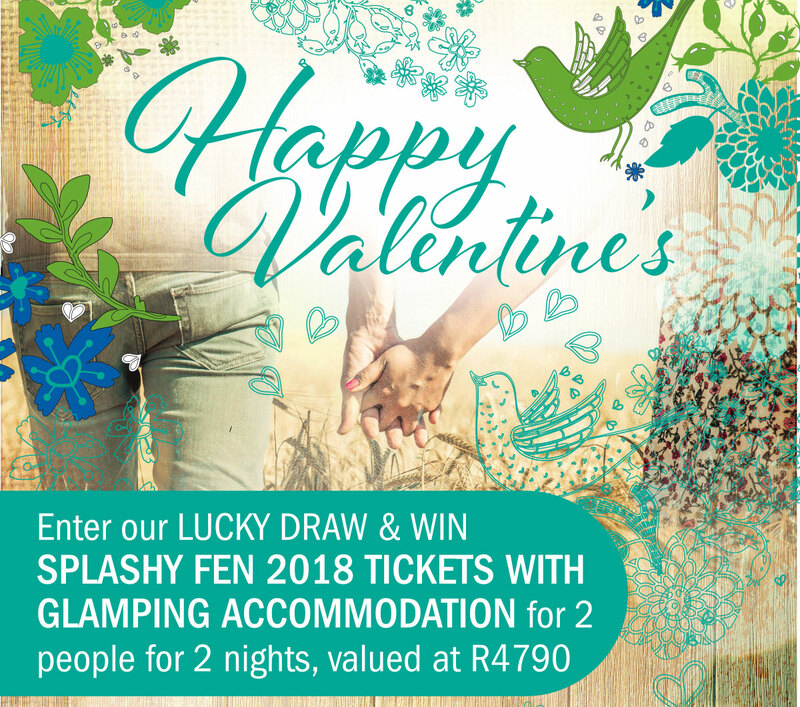 To celebrate Valentine’s Day, the Cascades Lifestyle Centre is giving away a set of Splashy Fen 2018 tickets to one lucky person. The prize includes ‘glamping’ accommodation in luxury tents for 2 people for 2 nights at the festival, and is valued at a total of R4790.00. To enter this lucky draw competition, pick up an entry form from Home, etc; the Bible Centre; Sportsman’s Warehouse; Outdoor Warehouse; Pine Ridge Spur; or Marshall Music. Complete the entry form and post it into the entry box located at the info kiosk at the centre. Competition closes at 5pm on 28 February 2018. Winner announced on 2 March 2018. Only one entry per person and entrants must be over 18. See below for full terms and conditions. Excellent. Get to Cascades Centre and pick up an entry form and enter. It’s that simple.